Pound & Grain's Sandy Fleischer and Scott Lew share their thoughts on areas of growth and focus for marketers in the coming year. Saying something is trendy in digital is dangerous. By nature, the evolution of digital marketing can be just as swift as the evolution of the latest meme. Because of this, predicting trends or areas of growth for the following year can be like predicting lotto numbers. But here we are, on the brink of 2019, and once again attempting to make predictions about the coming year in digital. Here are two. There aren’t many digital gaming services out there with more attention than Twitch. The video game live streaming platform, combined with the global rise of eSports, has created an entirely new and effective influencer market. Instagram and YouTube influencers are still in the game but, come 2019, brands should be looking for an appropriate live Twitch streamer to partner with. To get a clear picture of the power of Twitch, it’s worth noting that there are approximately 140 million people watching about 2.5 million live streamers. The rise of games like Fortnight have also brought an element of popular culture to the phenomenon of live streaming and Twitch users like Ninja, who has upwards of 13 million followers alone. While live gaming might seem like it attracts a niche audience, 2018 saw eSports as a whole reach over 1.6 billion people globally. Whether it be through sponsorship or simply using their likeness in branded content, look for brands getting in the game with live streamers in 2019. For better or worse, the past few years have seen a handful of brands take a stand. They’ve established a belief system and developed a message that truly speaks to their audience on a level beyond advertising. From a digital standpoint, we’re reaching an interesting crossroad. Social channels enable a much more personable one-to-one relationship between consumers and brands, and up until this point, some brands have chosen not to embrace this. Consumers know when they are being sold something, and instead of blindly following a brand, 64% choose to switch, avoid or boycott a brand based on their societal issues, according to a report from Edelman. So, there’s no more sitting on the sidelines; brands will need to take a stance. This past year has seen a handful of brands make genuine connections with their fans and position their products and services as an extension of their beliefs. There was no better example of this than Nike’s campaign with former NFL quarterback Colin Kaepernick. Nike has a belief system and in 2018 they managed to increase their stock value to an all-time high by reminding consumers what they stand for. Digital communication in 2019 is only going to help strengthen their stance. With the ability to respond immediately through social, consumers and the brands they follow will be closer than ever. 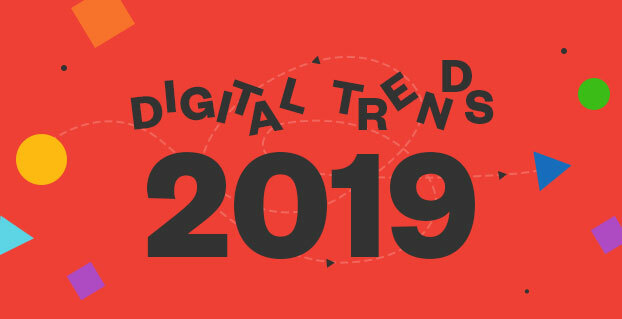 Whether it be political, educational or even cosmetic, look for more brands using digital channels to take a stand in 2019. The above only mentions two trends to look out for. Don’t sleep on things like 5G, voice search marketing and the evolution of bots either. As we wave goodbye to an eventful 2018 in marketing, it’s exciting to look ahead to next year. Sandy Fleischer is managing partner and Scott Lew is creative director at Pound & Grain. By the numbers: Do hockey fans notice sponsor integrations?